Central One Service LLC provides service and repair for all brands / types of Appliances, Heat & Air, and Refrigeration systems. From residential to commercial, Central One Service LLC can service, repair, and maintain your equipment. 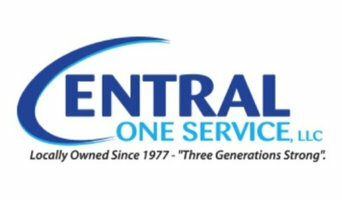 Central One Service LLC has been family owned and operated since 1977. River Valley Heating and Cooling offers a wide variety of heating and cooling options to help you lower your annual utility cost while maintaining optimum comfort. We also provide many heating and air conditioning systems that achieve Energy Star ratings. 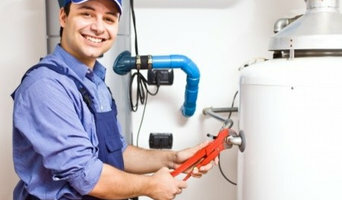 We Service and Repair of ALL Brands of Heating and Cooling Systems River Valley’s Service technicians are trained and experienced in service and repair of all major brands. Call us today to discover why we're the area's premier HVAC company! 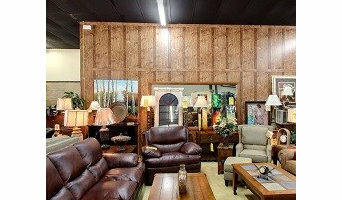 Discount and liquidated appliances, electronics, and general merchandise. Closeouts, overstocks, box damage, etc...we can save you hundreds on upscale appliances and TVs. For more than 90 years, Essick Air Products has built a reputation of uncompromising commitment to superior products. Our products range from convenient tabletop humidifiers to an extensive array of whole-house evaporative humidifiers and coolers. We take great pride in offering a variety of solutions to enhance your health and improve your home environment. Our products are designed, engineered and built in the U.S.A. Essick’s new AIRCARE line offers product designs that are both innovative and attractive. This modern and forward thinking line represents comfort with style and will fit a variety of different home décor styles. At Central One Service LLC's drop-off location you can leave your item with our appliance repair experts knowing that it will be repaired and in factory-like condition quickly! We combine reliable service and attention to detail to make sure you are fully satisfied. Central One's certified technicians can repair all major brands, makes, and models. With our drop-off service, you'll save labor and travel time along with a lower upfront diagnostic fee. What are you waiting for? Schedule a drop-off appointment today! At Phe Phe's House of Hair Dog Grooming in Bryant, Arkansas they offer dog and cat grooming along with convenient and safe pick up and delivery service. Phe Phe's House of Hair Dog Grooming will pamper your pets while making them look and feel fabulous. If you are searching for the best pet groomer in Bryant, AR contact Phe Phe's House of Hair Dog Grooming to get the most high quality pet grooming services for the most affordable prices. Your Arkansas appliance professional might handle any or all of the following jobs: selling, installing, repairing and upgrading both small and large appliances. He or she can advise you on the right equipment for your Conway, AR home, from features to finishes, and is usually in the know about the latest technological advances and bells and whistles. When appliances hit a snag or start to show their age, a pro can advise you whether to repair or replace them, then carry out his or her recommendation. Some appliance professionals work closely with Conway, AR builders, remodeling contractors, and kitchen and bath designers, among others. Here are some related professionals and vendors to complement the work of appliances: Kitchen & Bath Fixtures, Kitchen & Bath Designers, Kitchen & Bath Remodelers, Specialty Contractors, General Contractors. Find an appliance professional on Houzz. Narrow your search in the Professionals section of the website to Conway, AR appliances. You can also look through Conway, AR photos to find examples of rooms with appliances you like, then contact the professional who worked on them.